The first quarter saw the home side playing some tough defence and with the team being hesitant to attack the basket the opposition were able to pick off passes and score in transition. However, Nyle Crocker came into the game late in the quarter and scored 7 straight points to close the quarter 11-15. The second quarter saw a much more offensive based focus with both teams trading baskets but with Ben Holland collecting rebounds with ease and out letting to the running players in transition, the boys were able to gain a slender 1 point lead to finish the half, 32-31. With the game in the balance the third quarter saw a temporary lack of defence leading to a 9 point run from the home side forcing a Coach Goddard timeout. The team came out of the timeout switched on and engaged which meant they were able to contain the oppositions strong offence. The fourth quarter saw some of the best team basketball from the group this season! It was also the most tense 10 minutes of the season with the boys having to perform under real pressure. The opposition started the quarter with a basket to take the lead to 43-50 however an offensive run to the tune of 13-2 from TSK lead to a 56-52 lead and an opposition timeout. The opposition came out strong and made it to the free throw line by ways of an and 1 basket. An unsportsmanlike foul and a coach technical gave TSK the chance to seal the deal with less than a minute to play, however being unable to convert at the line left the game to the wire. With possession from the fouls, TSK were able to inbound the ball and see out the game after some last ditch fouls and a 50% conversion at the line to win the game 58-55 thus ending the season on an extremely positive note. Zak Riabi led all scorers with 18 points in the victory and U16 II Boys, who all but 2 are a year young, finish up the season 4-14 with lots more in store for them at this age group next season. The first quarter saw the team start well scoring easily in the paint however unable to deal with full court pressure from the opposition gave up too many easy scores at the other end. Shoreham made a short run to give themselves breathing space heading into the 1st quarter break up 14-28. The hosts found their way back into the game to start the 2nd quarter and trimmed the deficit to just 7 points after some excellent half court defence converting on the offensive end also. Out of a timeout the league leading Shoreham Spartans made adjustments and started to knock down the 3 ball pushing their lead back out to double digits now up 29-47 at the break. Heading into the second half TSK knew that they weren't out of the game yet and just had to chip away at the score and came out to start the half with 3 quick baskets. Whilst Kestrels tried to keep the tempo high again more sharp shooting from the Spartans ultimately killed any momentum. Both teams then continued to trade baskets throughout the quarter ending 45-69. The fourth quarter saw the opposition step the game up another gear using their full court press to cause multiple turnovers allowing easy transition layups to be scored to blow open the game. Although the game was out of their hands, the boys continued to play with energy and intensity with the game ending 64-91. Zak Riabi led Kestrels with 13 points. The team will now have their final game of the season on the road to Brighton Cougars as they look to end the season with a win in Brighton. Saturday saw the team make the short trip to Sparsholt College to face the Winchester City Royals for the 2nd time this season. The first quarter saw some excellent shooting from beyond the arc by both teams with Solent able to use this threat to create gaps in the paint for Yasar Ocakli and Ben Holland to get some easy inside looks giving the team a 15-21 lead. The third quarter saw the Royals apply a full court, trapping man to man defence which cause the team to panic and eventually turn the ball over leading to easy layups for the opposition. After a timeout, the team were able to advance the ball over the half court and managed to get to the foul line with ease however being unable to capitalise on the opportunity allowed the home side to take a 41-49 lead. The fourth quarter saw a much tighter contest between the teams however a lack of defence and composure on the offensive end saw the Royals take the win 57-50. Zak Riabi led with 20 points. The team will travel to Brighton next week to face the Cougars with a 4:15pm tip. Saturday saw Team Solent Kestrels U16 II Boys welcome Mid Sussex Chargers to Itchen College. The sides had already met earlier in the season with TSK winning comfortable on the road. Kestrels started the game with a high offensive intensity racing out to a 13-6 lead. With some poor rotations on defence, the opposition were able to reduce the gap to 18-15 at the end of the first quarter. The second quarter saw the boys increase their defensive intensity causing turnovers in the front court and securing the rebounds to start the fast break resulting in lots of easy transition opportunity and a 16 point run to end the half, 43-25. At half time, Coach Goddard gave the boys the target of keeping the opposition to 50 points for the rest of the game and that would require a real focus defensively. The team responded to this with a strong offensive output whilst also holding the Chargers to a 9 point quarter. With a strong lead, Coach Goddard was able to rotate through his bench allowing other players to gain vital experience with lots of playing time. This saw a 38 point quarter whilst holding the opposition to just 10 points. TSK running out 104-44 winners. In such an exciting offensive game to watch, all team members were able to get themselves on the score sheet with no less than 4 in double figures. Zak Riabi led all scorers with 36 points for the hosts. After such a strong win Saturday, the team came into game 2, on the road at Shoreham Spartans, of the double header buzzing with confidence. However this served as motivation for the opposition as they started the game with a 10-0 run forcing a TSK timeout early on. The visitors then rallied together to move the ball against yet another zone defence scoring no more than 5 threes and a fast break layup to take a slender 17-16 lead. After the short break, it was still anyone's game however Shoreham turned to their full court man to man press to cause turnovers in both halves of the court which resulted in a 17-0 run and another Coach Goddard timeout. Kestrels did show some respite scoring out of the timeout but were now down 29-45. At the start of the third quarter, TSK started strong using their height mismatches to score with some strong post moves and got to the free throw line trying to reduce the gap. However, the damage had already been done along with fatigue starting to creep in from Saturdays performance, Shoreham were able to capitalise and attack the rim forcing fouls only to extend their lead. The game ended 55-86 to the hosts. Ben Holland led the way for Kestrels with 16 points. The team will make the short journey to Winchester on Saturday 24th February 2018 to take on the local Winchester City Royals which is set to be a game that should not be missed! The first quarter was very much in the control of the home side jumping out to a 9-0 run just 2 minutes in. However this didn't last long as the opposition managed to get to the foul line and get themselves on the score sheet. Using the oppositions missed free throw opportunities as a motivator, the team were able to get some transition baskets to hold a slender 14-12 lead. The second quarter however saw the visiting Suns step up their defensive pressure causing TSK to turn the ball over and allowing them transition opportunities. Kestrels took a time out to regroup and refocus and were able to string together some baskets by way of the foul line to reduce the gap at half time to 27-35. With only 7 points difference between the teams the third quarter looked to be anyone's game but it was the Suns who used defensive pressure through the use of their zone defence to cause even more turnovers thus giving themselves easy run outs and layups. The quarter ended 33-53. The final quarter saw the home side rally together using good ball movement to break down the zone defence and get to the basket however being unable to make free throws in the clutch moments of the game stopped any ideas of a comeback. Final score 44-66, Nick Taee was the high point man with 13 points whilst Yasar Ocakli chipped in 10 of his own. The boys will now have a double header weekend in which they will welcome Mid Sussex chargers to Itchen college and then travel to Shoreham Spartans on the Sunday. The team started out strong using their fast break offence to beat the Blackhawks zone defence giving them a 7-16 lead halfway through the first quarter. However a few missed rebounds and foul trouble allowed the home side to regain the lead and take a 31-20 lead into the second quarter. The second quarter saw the opposition take a commanding lead thanks to their zone defence causing turnovers and allowing easy transition offence as well as getting to the foul line. After a huge emphasis being put on the defensive end during half time, the team were able to string together a 10 point run to finish the third quarter 65-45. Despite the daunting 20 point lead the home side held, the team used some great ball movement to share the scoring allowing everyone to get in on the score sheet. Some defensive stops allowed the team to maintain the momentum of the game however it was all a half too late ending with the home side winning 88-69. Zak Riabi was the high point man with 26 points. The team are next in action this coming Saturday 10th February 2018 when they match up against Sevenoaks Suns at the revised home venue of Barton Peveril as one of four home games for the boys teams. 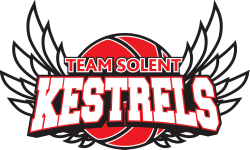 Sunday saw Team Solent Kestrels U16 Conference boys make the short journey to Lancing to play Sussex Bears II. Having only played a fortnight beforehand, the team were able to remain familiar with their opposition. The second quarter was very low scoring with both teams playing tough with some great excellent defensive efforts but the home side would come out on top with a 27-31 lead at the half. The second half saw both teams making runs with the Bears using their full court press to get some easy buckets, however TSK were able to get to the line nearly every other offence. Unfortunately, being unable to convert these chances allowed the opposition to capitalise and score transition baskets with little resistance ultimately resulting in them running out 63-83 winners. Zak Riabi was the high point man with 32 points for Kestrels. After the game coach Goddard said; “It's a shame to lose the game today considering how well we played in the first half. Ultimately our free throw shooting let us down today scoring 14/30 attempts. This will have to be addressed as we have seen on multiple occasions this year that free throws often effect the outcome of the ball game". The team are in action next weekend away to Woking Blackhawks on Sunday 4th February at 11am. The first quarter saw both teams finding the basket with some ease as well as getting to the line. This led to the Kestrels taking a slender 3 point lead into the second quarter. The Bears came into the second quarter with a straight 12 point run forcing a Kestrel timeout. Zak Riabi then sparked the home sides offence by converting an And 1 play. However some slow rotations lead to the visitors finishing the quarter with a 40-55 lead. The second half saw both teams stringing runs together with stops and scores as well as finding their way to the line on multiple occasions. However being unable to convert at the line led to the visitors taking a 20 point win 69-89. Zak Riabi led the way with 26 points with Yasar Ockali just behind him with 21 points. The team now has a week off before they make the short trip to Sussex to play the away game against the Bears. The first quarter saw the opposition jump out to a 14-2 lead in the first 3 minutes but some steady scoring from Zak Riabi and Elliot Goddard finished the quarter 29-13 to the opposition. During the second quarter the boys managed to string together some baskets whilst playing some strong defence to weather the Storms fast breaks. The second half started 54-31 in favour of the opposition and saw both teams trading for baskets throughout the second half however a strong 16 point run in the fourth quarter and with the boys finding the endurance side of the game tougher than usual due to the lack of players the game finished 111-50 to the Storm. Having previously played this team twice already Coaches Goddard and Diaper were able to see just how far the team has come compared to the previous outings against a strong Sussex team leaving both coaches excited to see what the rest of the season has in store. Zak Riabi led with 22 points with Elliot Goddard chipping in with 16 points of his own. After postponing the 1st half of this weeks double header against local team Winchester City Royals, the team were able to rest up, allowing the second half to take place. The second quarter was exactly the same with both teams unable to make a run to take control of the ball game however behind some strong defensive rebounding from Yasar Ocakli and Ben Holland the Kestrels were able to take a 2 point lead at the end of the half 40-38. The third quarter saw Winchester have some strong runs however Zak Riabi was able to help the team weather the storm, showing off not only his ability to score but his ability to get his teammates involved too. Going into the fourth down 4 points, Coach Goddard put great emphasis on how locking in on the defensive end would help to swing the balance of the game for them. The boys came out playing at a high intensity with some great defence which lead to fast break scores in transition causing a Winchester timeout. With 3 minutes left to play the game was neck and neck with Kestrels just 2 points ahead. However an offensive onslaught from the starting 5 saw the team making clutch plays, attacking the basket and getting to the line ending in an 8 point win, 88-80. Zak Riabi ended with 38 points whilst Elliot Goddard, Ben Holland and Yasar Ocakli combined for 41 points! After the game Coach Goddard said "I'm extremely proud of the way the guys carried themselves throughout the game, they were able to put individual statistics to one side and bought into the team dynamic resulting in 4 players reaching double figures. It's always a good feeling to get a win and especially one to end the first half of the season on!" The team now have the Christmas break off before they travel to Sussex on January 6th 2018 to face Sussex Storm II. After a few complications with means of transport on the way to the game, the boys arrived in good time and were ready to take on the rematch against Phantoms. After a solid start with dominant rebounding from Ben Holland and Yasar Ocakli along with good offensive contribution from Zak Riabi TSK found themselves finishing the quarter down just 1 point. As the game wore on and key players went down with injuries other players took the initiative and stepped to play their part. Elliot Goddard shot the ball well from beyond the arc and Nyle Crocker took the rebounding responsibility into his own hands on both ends of the floor. However Kestrels found it difficult to close out the game down the stretch and Farnborough managed to make plays when it mattered down the stretch. The game finishing 71-57 in favour of the hosts Farnborough Phantoms. TSK were led by Zak Riabi with 16 points. Both teams are back in action this coming weekend, TSK play a back to back with Winchester City Royals on Saturday and Sunday. Phantoms make the short trip to face Woking Blackhawks before the Christmas break comes into play. Coming off of a convincing win last week, the U16 conference team came into the game in high spirits with a renewed confidence, this weeks visitors to St. Mary’s Leisure Centre were Brighton Cougars. The confidence was clear to see on the offence end with all of the starting 5 finding themselves on the score sheet in the first quarter. TSK managed to edge in front leading 19-16 at the end of the first. The Kestrels came out strong to start the third with 10 straight points from Yasar Ocakli and Ben Holland to put them back in the game. Zak Riabi was then able to continue attacking the rim and drawing fouls to continue the offensive fire that the team have had over the last 2 games, however some poor close outs and defensive rotations late in the fourth, led to the visitors making more outside shots resulting in a loss for the home side 75-80. Zak Riabi led all scorers with a 33 point outing, whilst Ben Holland and Yasar Ocakli combined for 35 points. Coach Goddard said after the game "Today's loss is a painful one, throughout the game I felt we had the upper hand and deserved to win, however credit to the opposition for making clutch shots down the stretch. We dominated the boards and the paint in this game as well as getting to the line 12 times. I look forward to seeing the guys use this loss as motivation to go and put a strong performance in against local club Winchester in 2 weeks time. The game started with both teams exchanging baskets in transition but a 10 point run from a combined team effort saw the visitors take an early 12 point lead. The second quarter saw Zak Riabi spear head the attack with 18 of his 41 points in the game. The high defensive intensity allowed big men Ben Holland and Yasar Ocakli to get rebound after rebound and spark fast break opportunities for Nick Taee and Elliot Goddard who finished the breaks well by drawing the defence and making the extra pass. This high intensity defence and willingness to run and make the extra pass on offence extended the lead to 59-33. The third quarter then saw Taee and Goddard take over the game combining for 16 of their combined 40 points. As the game went on the offence continued to flow well, Coach Goddard challenged the rest of the team to make a strong impression on the defensive end, this was evident in the final quarter with Nyle Crocker, Sam Chapman and Josh Fields all making giving great defensive efforts, getting stops and rebounds which allowed the fast breaks to continue until the final buzzer giving the team their first win of the season, 107-73. The team will now play host to the another south coast side, Brighton Cougars, at St Mary's Leisure Centre on Saturday 25th November 2017 at 1:45pm. Saturday afternoon saw the U16 conference play host to Woking Blackhawks at Itchen College. The game started off with both teams trading baskets with neither team able to seize control in the opening period, ending the quarter 22 a piece. This was then followed by a strong run by Woking to start the second however with some good post play from TSK and regular trips to the foul line the home side weathered the run and only went into the break down 4. The second half started exactly the same as the first half ended, with great energy and high intensity on the defensive end whilst some brilliant team basketball on the offensive end allowed Kestrels to keep the score board ticking over. That said, a late run from Woking and a lapse in defensive intensity pushed the lead wide open and ultimately TSK could not recover allowing the visitors to take a 17 point victory 84-67. TSK were led by Yasar Ocakli with 23 points. The guys are next in action on Saturday 18th November 2017 as they make the short trip down the coast to Mid-Sussex Chargers. The first quarter saw a well balanced attack from the starting 5, leading to high percentage shots after a number of successful pass and cut actions. It also gave the boys the opportunity to put all their defensive practices to use against the pick and roll offence of the Sevenoaks team. The second quarter saw much of the same however, the opposition were able to use their good shot selection to go into the half with an 18 point lead. The second half started out with a surge in defensive intensity and key plays on offence to reduce the gap to 8 points however a late charge by the opposition down the stretch of the 4th quarter effectively ended the game with and saw Kestrels lose out 69-33. Post game Head Coach Josh Goddard said "We came into the game with 2 main focuses; using our bigs on offence and having successful rotations on defence. On the whole, I feel we had more success than not in achieving our goals but at the end of the game it was Sevenoaks who maintained their concentration down the stretch and got the job done." The team will look to bounce back when they play host to Woking Blackhawks on 11th November 2017. Saturday saw the U16 conference team face one of the toughest teams in the league, Sussex Storm II. Having previously met in the cup and lost, we knew we were in for a tough game! Due to it being the start of half term, we had a depleted side of only 8 players with key players on holiday. The first half saw an extremely one sided game for the visitors as every shot they took seemed to find the basket. Never the less, the second half saw the home side find some fire from within to get some steady stops and scores with Yasar Ocakli, Javier Mesa and Nyle Crocker combining for 25pts. Despite the outcome of the game, this can be seen as a positive as it allowed the bench to rotate in frequently and showcase their skills. Coach Goddard had this to say at the end of the game, "The best thing about this loss is that we can only improve individually but more importantly as a team and that we will certainly do!" The team now have a couple of weeks to re-group before heading to Sevenoaks Suns on Sunday 5th November 2017. Saturday saw a majority of the teams first national league game against Farnborough Phantoms. The first quarter allowed players to realise just how quick the game can be played and that their defensive rotations had to be on point. With this in mind, the guys on the floor made the decision to make a stand on defence and only allow a few uncontested shots. The second half saw a huge surge in intensity, with players boxing out their much taller counterparts, as well as having good timing on offence and defence. This accompanied with a scoring outburst from Zak Riabi (28pts), a huge haul of rebounds by Yassar Ocakli (17rebs) and Elliot Goddard taking 3 charges, brought the team to within 3 points in the final 2 minutes of play. TSK ultimately coming up short 73-67. "This was a tough loss for the guys however was a performance they should be proud of." Added U16 II play caller Josh Goddard. Sunday saw the guys play their first National Cup game against Sussex Storm II. The game started off with both teams unable to buy a basket however, Nick Taee used a good head fake and drive to score the opening basket for his side. This then saw a strong run from the experienced Sussex team. Half time saw the team in a similar position to that of Saturday, down 18 and a comeback on the cards however the guys looked tired from the day before with a very tough opponent in front of them, it just wasn't our day. That said, it allowed everyone to gain the invaluable experience of court time with Josh Fields scoring 6 points in 3 minutes off the bench! Although Kestrels lost the game 87-40, Coach Josh Goddard was able to see multiple players contributing to the score line with a balanced attack and Elliot Goddard taking another 2 charges! "This was a very tough game to play and possibly a wake up call to just how fast National League basketball can be with a lot of new faces in the squad taking time to adjust. The weekend has been a mixed but realistic start to the season with a lot of potential in the group." The team now have a few weeks off where they can re-group and get ready for their next game on the road to Sussex Bears II on 14th October 2017.